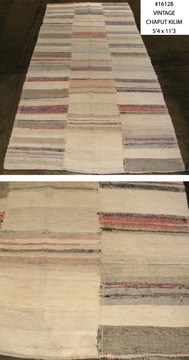 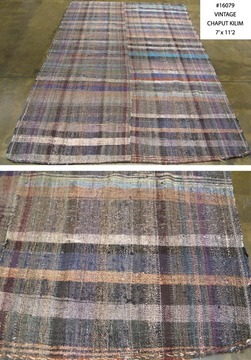 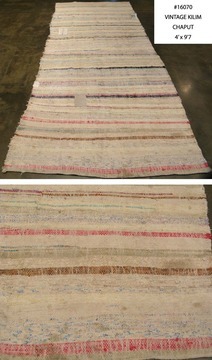 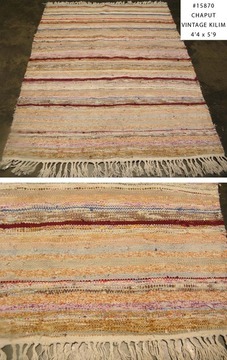 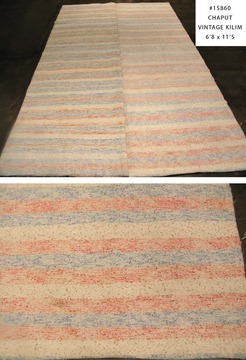 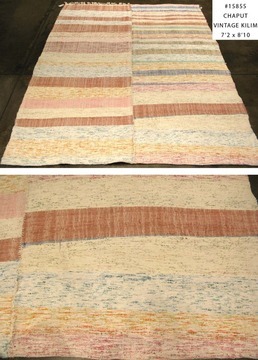 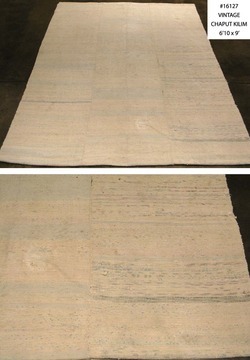 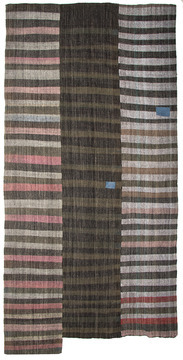 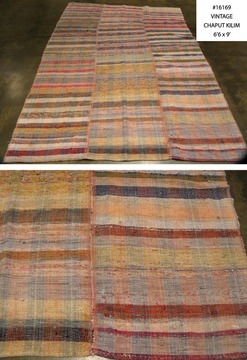 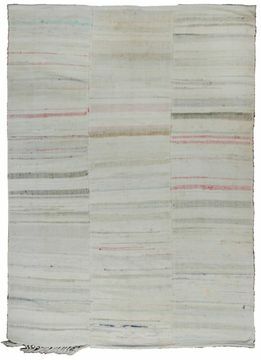 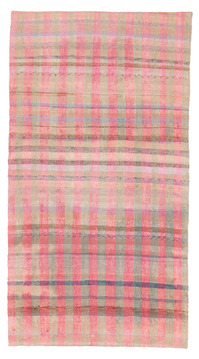 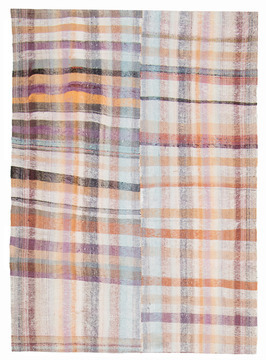 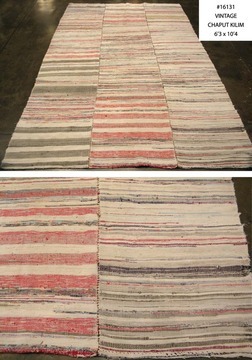 A lovely, almost rustic Chaput Vintage Kilim Rug. 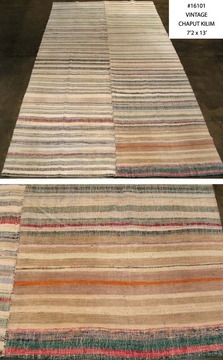 Rust, orange, khaki, tan and ivory predominate. 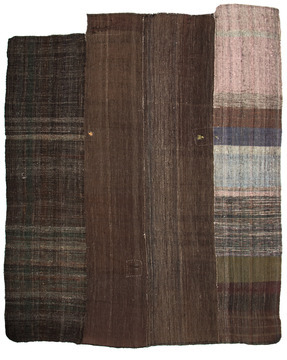 A full fringe encloses braids of alternating colors. 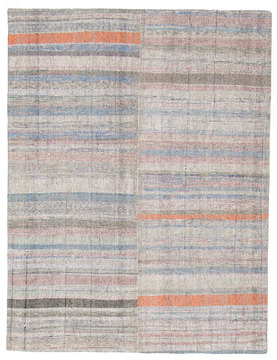 This rug belongs in a harvest of rich fall colors.